Day 1 : Transfert from Marrakech aéroport to the hotel 4 starts . Day 3: Ascend to the shrine at Sidi Chamharouch. 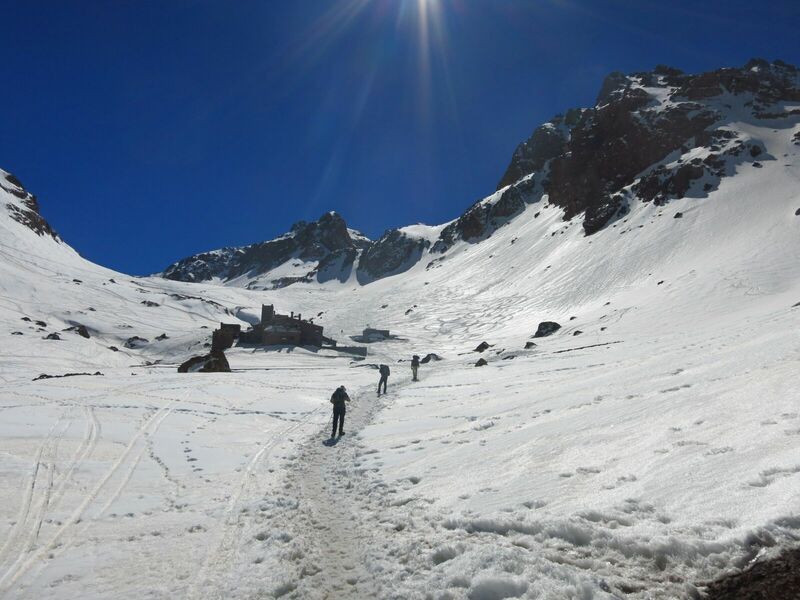 Continue ascent to reach the Neltner Refuge (3207m. / 10,521ft.) our accommodation for the next 3 nights. 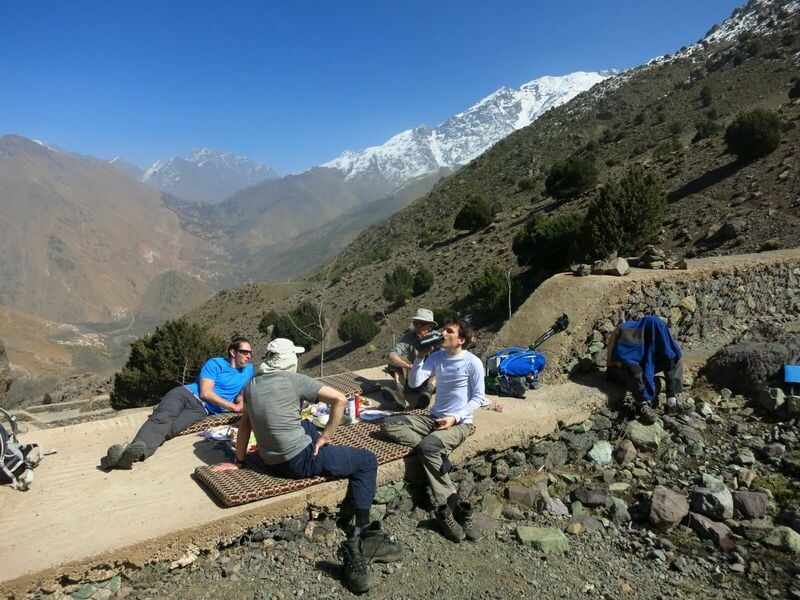 Day 4: Leave the refuge to make the day-climb of Ouanoukrim (4089m./ 13,415ft.). Time to rest and relax during the late afternoon. Refuge. 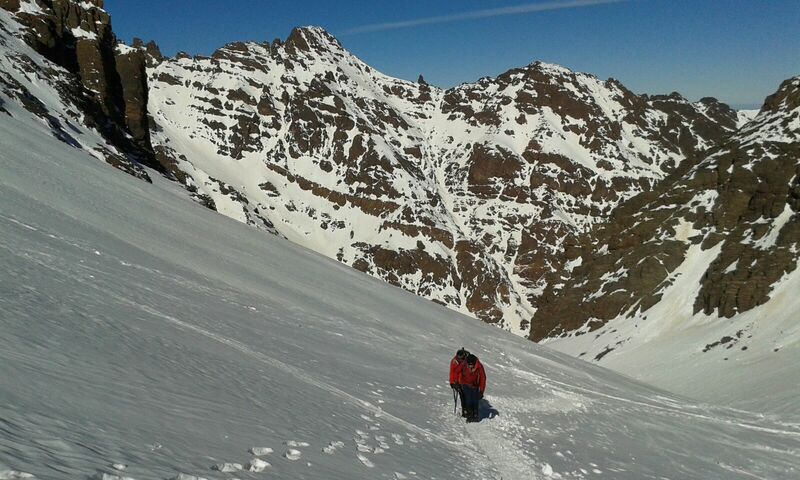 Day 5: Today we make the steep ascent to the summit of Jebel Toubkal (4167m. / 13,672ft.) After time to enjoy the panoramic views we return to the Neltner Refuge. Refuge. 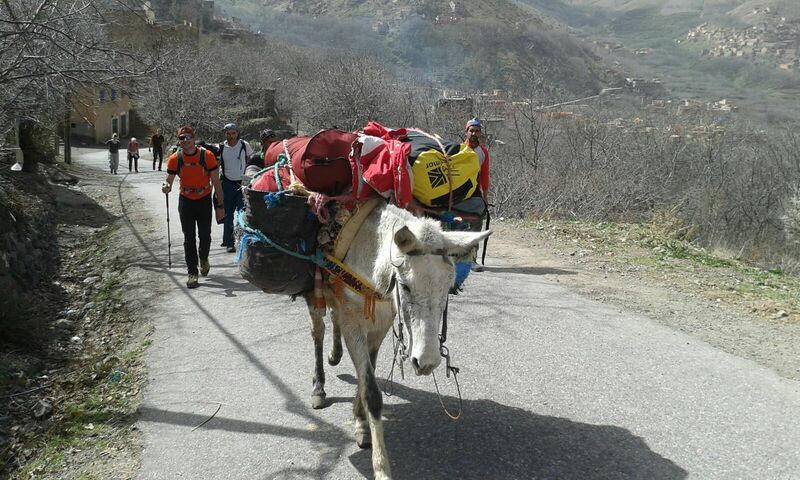 Day 6: Leave the refuge and return down the Aroumd Valley, via Sidi Chamharouch to imlil night hotel. Day 7 : transfert to Marrakech and visit Marrakech and back to hotel 4 starts.